Desiree Heslop (born 27 November 1961), best known as Princess, is a British singer who found chart success in the mid-1980s. In the late-1970s she worked with the group Osibisa. Her first solo album Princess (1986) was composed and produced by Stock, Aitken & Waterman which contained the hit single, "Say I'm Your Number One". The album spawned 5 charting singles, and was certified silver in the UK. She appeared in ITV's 2005 production Hit Me, Baby, One More Time, singing Kylie Minogue's "Slow". In April 2014, she released her third album, The Emergence, the first in 27 years. It is the first in a trilogy of albums, the other ones titled The Passion and The One. 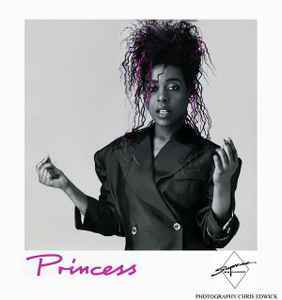 "Princess" (Desiree Heslop) was the truly best and sensational UK diva of the mid 1980's.